Trustee Emeritus A. James Clark died of congestive heart failure in his Easton, Md. home Friday. Photo courtesy of GW Today. 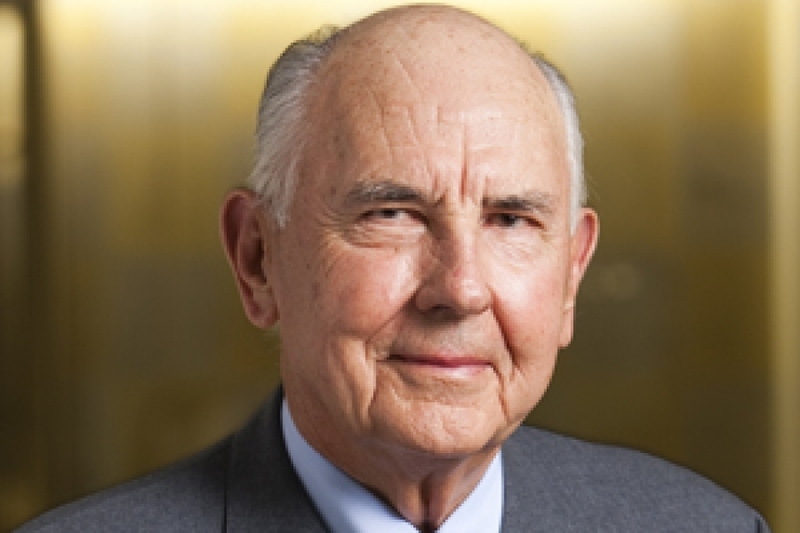 Trustee emeritus and construction magnate A. James Clark, the former chief executive officer of construction company Clark Enterprises, died Friday of congestive heart failure. He was 87 years old. Clark died at his home in Easton, Md., the Washington Post reported. Clark served on the Board of Trustees from 1988 to 1993, according to a release from University President Steven Knapp, who awarded Clark an honorary degree at University-wide Commencement in 2010. “Mr. Clark’s generosity and friendship to our university will be greatly missed. We can take solace from the fact that his legacy here will live on for generations to come,” Knapp wrote in the release. Clark Enterprises is one of the country’s largest construction companies and has also often served as GW’s construction company of choice, building South Hall, Shenkman Hall and the Science and Engineering Hall. The company also built FedEx Field, Nationals Park and the Verizon Center, the Post reported. Clark was worth about $1.37 billion, according to Forbes. He was a notable philanthropist, creating the prestigious Clark Engineering Scholars program at GW in 2011 with an $8 million gift. The program awards scholarships to top engineering students. The Post reported that he also donated tens of millions of dollars to the University of Maryland, which named its engineering school in his honor.